Science fiction writer Alastair Reynolds is in a prime position to look dispassionately at the present and project into the future, having spent 12 years as an astronomer with the European Space Agency (Esa). He spent more than a decade combining his work at Esa with writing science fiction short stories, before making writing his career and publishing novels such as Revelation Space, Pushing Ice and his latest, The Prefect. Science fiction has always been regarded with disdain by the literati but the genre has helped the world understand some of the most profound changes to society wrought by technology - such as space travel, satellite communications and robotics. But when we live in a world immersed in nanotechnology, quantum computing and discoveries of Super Earth-like planets, do we need science fiction anymore? "The common complaint now is that science fiction is already outmoded because we are living in a science fiction universe," says Mr Reynolds. "I've got some sympathy with that. Only the other day I was in Amsterdam airport and I noticed security guards nipping around on Segways with machine guns. "If you had been transported from 1997 into this year, you would be incredulous and think of it as science fiction. "But we accept it as part of the fabric of our world." 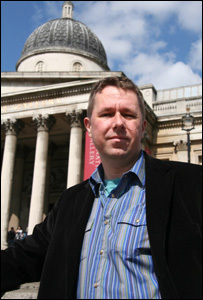 Mr Reynolds believes that the pace of change makes science fiction essential reading, now more than ever. "Society has probably always felt this way. To some extent this is when science fiction should thrive - when the world is changing at a bewildering pace. "I certainly don't think science fiction is being overtaken with real world events." Before turning full-time writer Reynolds spent five years working on the S-Cam project as Esa, helping develop an ultra-sensitive camera to detect energy changes in space. I prioritise story over science but not at the expense of being really stupid about it. "Our camera had 36 pixels, not megapixels. But each of those pixels was very, very special - cooled down to almost absolute zero. They were super conducting quantum devices. "They could give you an enormous amount of insight into very rapid energetic processes out in space. We could look at a pulsar, track the way the energy was changing, and seen how the colours of the pulsar were varying on millisecond timescales. "It was a rewarding area of science to be involved with." 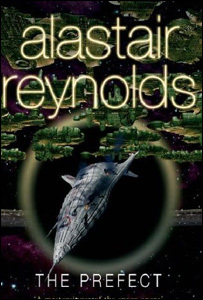 Reynolds, who grew up in South Wales, is best known for books set in a universe he defined with his first novel, Revelation Space, in which humanity has expanded into the stars, creating divergent "tribes" that are defined by their relationships to technology. From the Conjoiners, who have suffused their bodies and minds with technology to Ultras, who are defined by the near light speeds at which they travel and the resulting longevity from their life in space, his books are dominated by science and technology. But for Reynolds the story always comes first. "I tend to begin with an image or a conceit. It could be a scene in my mind - and often I don't know where it has come from. "If it's a good one it will branch out and give you possibilities. Only later do I think in terms of putting the science in." His latest book is a thriller but rooted in science fiction tradition. In it, a burnt-out law enforcement office untangles a galactic conspiracy which draws on classic Reynolds themes of isolation, social structures and power struggles. The basic premise is an interesting one - what happens to a civilisation in which democracy has become a commodity which, like gold or oil, can be traded? As a scientist, his ideas and the manner in which he describes them feel authentic: Spaceships orbit planets according to the laws of physics and the effects of zero gravity on moving objects are correctly detailed. He also draws on the rich heritage of real science in fiction established by Isaac Asimov and Arthur C Clarke, two of his favourite childhood authors. "I am playing in a playground that's already been played in. I am always aware that a lot of the furniture in science fiction is second hand." He says: "I prioritise story over science but not at the expense of being really stupid about it. "If there's a story I absolutely cannot tell without faster than light travel then I am quite prepared to accept it - even though I don't personally believe it is possible." As a scientist he uses contemporary development in science and projects their future use in his novels. "I always say that keeping abreast of science should never be seen as a chore. It should be something you do naturally. I don't sit there reading New Scientist putting post-it notes next to ideas. "Maybe a year later I will recall something. The ideas that tend to end up in my stories are never apparent when I read them." One of the technologies that appears in his latest novel is a cloaking device, or invisibility field. It may have been the staple of many novels over the years but now there is science to marry to the fiction. "Early on in The Prefect I thought it would be quite handy to have a character able to conceal himself in an invisibility cloak. If I had written this 10 years ago, it would have been Star Trek rubbish; there was no scientific underpinning to it. "But in the last two or three years there has been quite a lot of discussion about using real materials - or so-called meta-materials - as camouflaging devices. There are real things being done in the lab by which one can - in principle - make objects invisible to light of a certain radiation. "It's a long step from that to go to a cloaking device. But that's the area in which I operate."